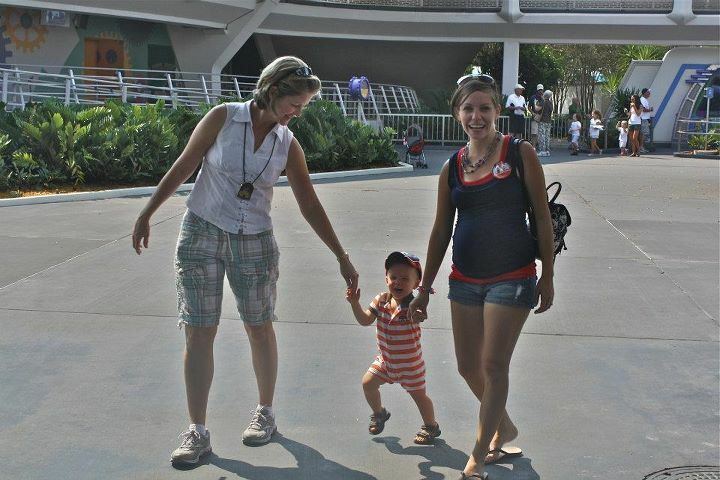 Tim and I have been to Disney way too many times to count, but this September’s trip was so different having Jack with us. It was a learning experience and very eye-opening to what our future trips are now going to look like. And you know what? We loved it. 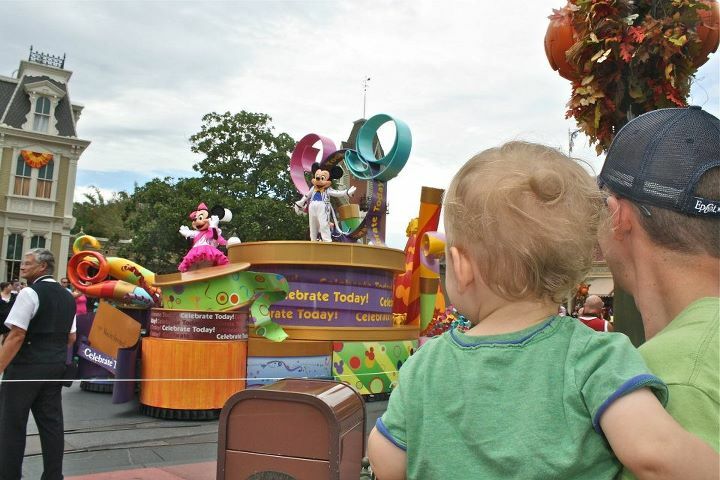 Doing Disney through the eyes of your fifteen-month-old is so much fun! 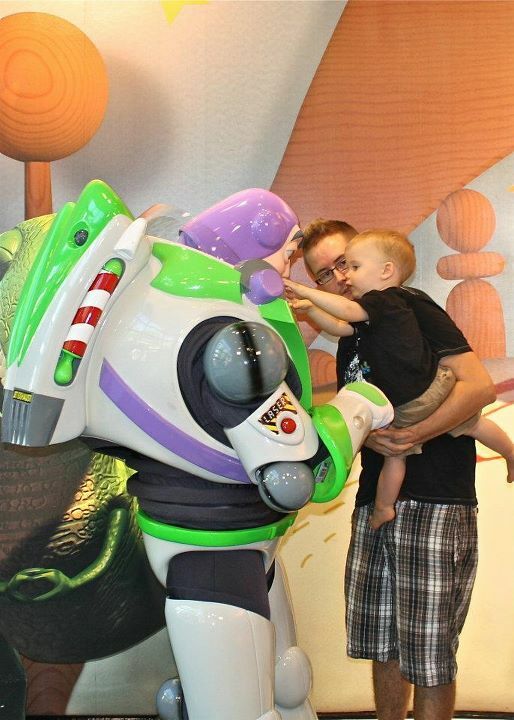 Today I wanted to share our trip through Jack’s eyes; the things that Jack enjoyed the most! 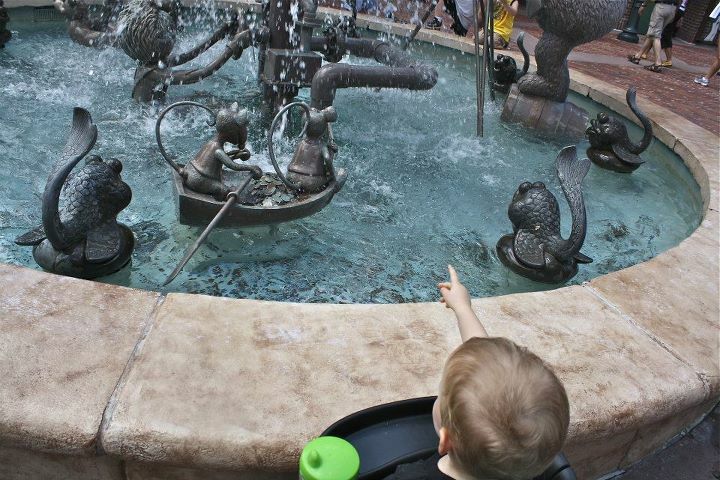 By far his favorite part of the vacation was the characters. 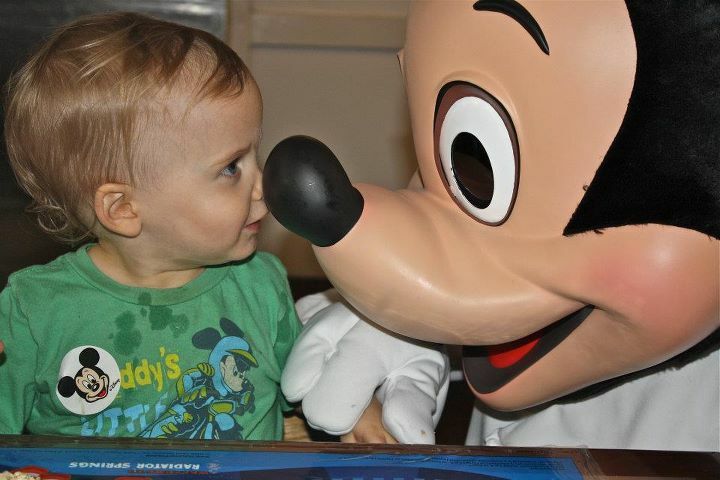 He loved every meet ‘n greet, every character dinner, you name it. I thought he would like the characters, but I didn’t predict the bouncy, giggly, silly, head-bobbing, dancing boy he would become when he was around them. This is definitely going to affect the way we plan our future trips. Bring on the character dinners for the Elrods! Up next, rides. But more specifically, boat rides. 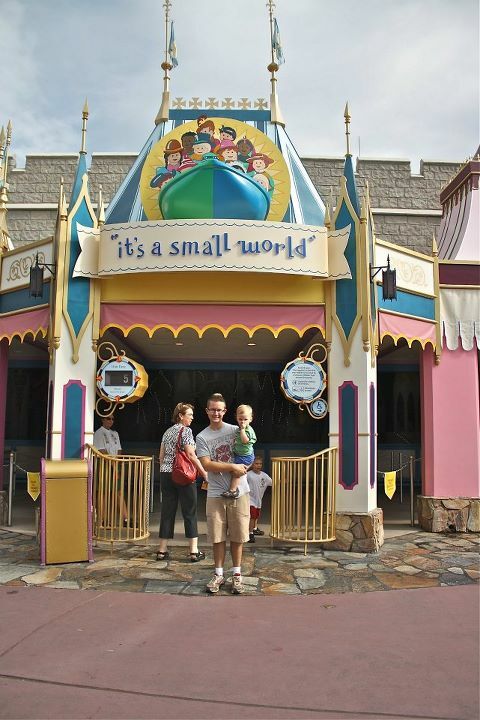 The two rides he came alive on the most were It’s A Small World and (oh my goodness, the excitement that was had!) The Three Caballeros in Mexico in EPCOT. Who knew, right? The rest of the attractions he seemed mildly entertained; more often than not, he would just sit in stunned silence, taking in what was going on. However, we were just glad that he enjoyed them. We had no crying fits. Not one. Not even on Pirates of the Caribbean, which is fairly dark in most of it, and contains a short drop in the dark. His heart was racing after the drop, but his face remained calm, thumb in mouth. Another high-ranking activity was walking through the interactive queues at a few of the rides. His favorite was The Many Adventures of Winnie the Pooh. I think he enjoyed the queue (or line) more than the actual attraction. We rode this ride more than one time, and each time the line was never longer than five or ten minutes. However, we would just take our time and let others come around us as Jack played in Pooh’s Thoughtful Spot, drummed on pumpkins in Rabbit’s garden, walked through Eeyore’s house, and watching the gofers pop up out of the ground. 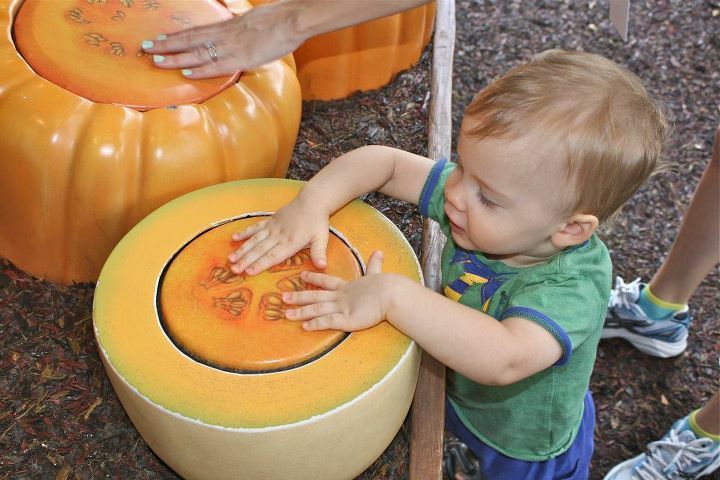 There was also the interactive wall of honey that you can draw on, but he wasn’t as entertained by that. Playgrounds. 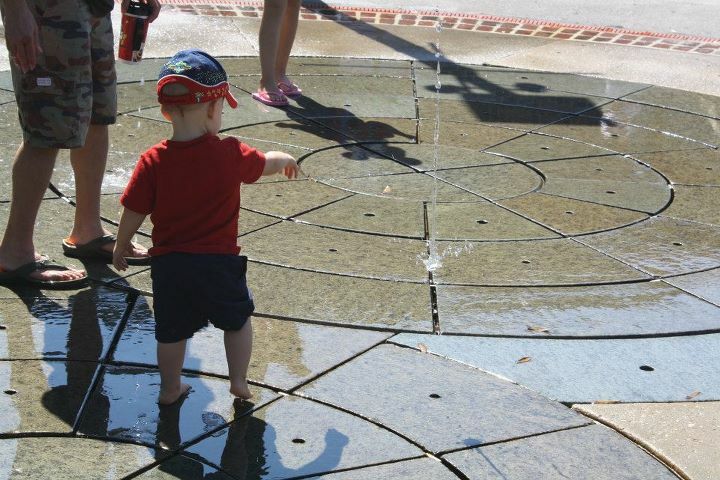 What kid doesn’t like playgrounds? 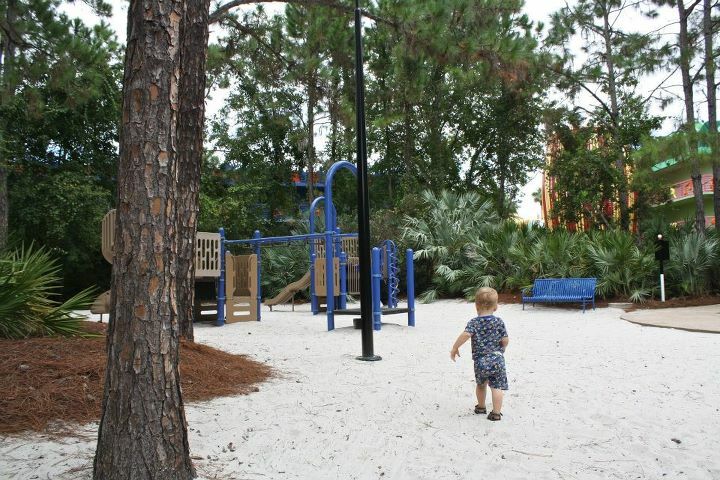 We had a playground at our resort that he loved running out some energy on, but the playground that took the cake was Honey I Shrunk the Kids. He ran and climbed while Tim ran and climbed after him. Bless that man. He probably could have spent all day there. I look forward to breaks there in the future when our kids are old enough to run around without one of us having to trail behind their every step. …swimming! Need I say more? 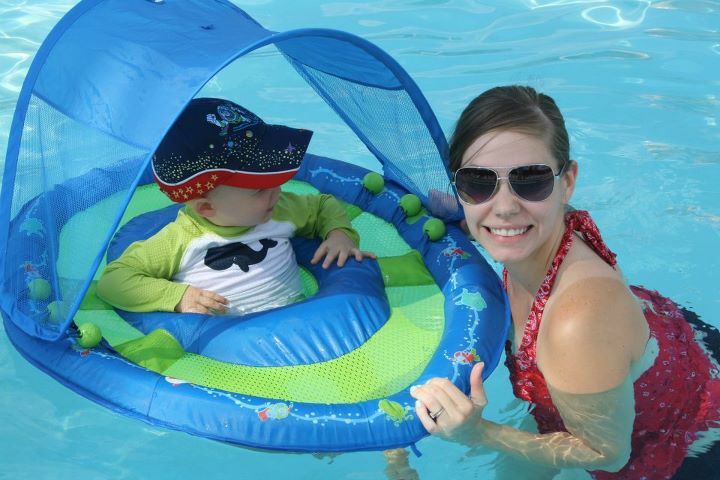 Kids, young and old, love to swim…or float in Jack’s case, I guess. His next favorite thing was a bit of a surprise to me. Shows! 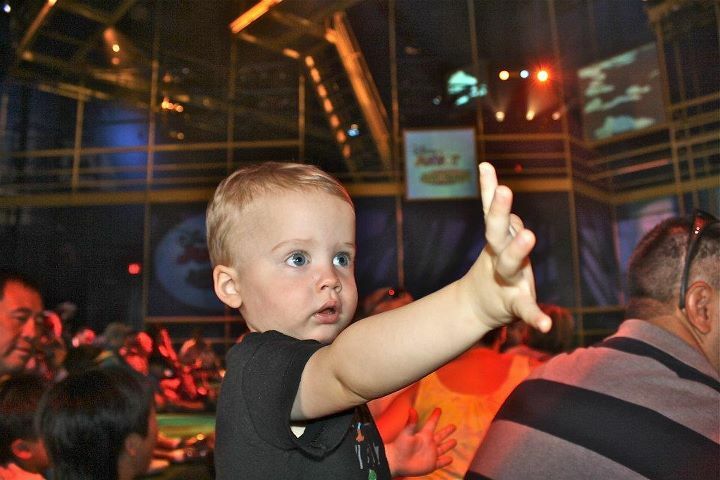 I expected him to be mildly entertained by the shows in Hollywood Studios, namely the Disney Junior Show, but I didn’t expect it to keep his attention the whole time! He squealed and danced and clapped. He even sat through The Voyage of the Little Mermaid, and stared in amazement at the opening Under the Sea performance of black light fish. 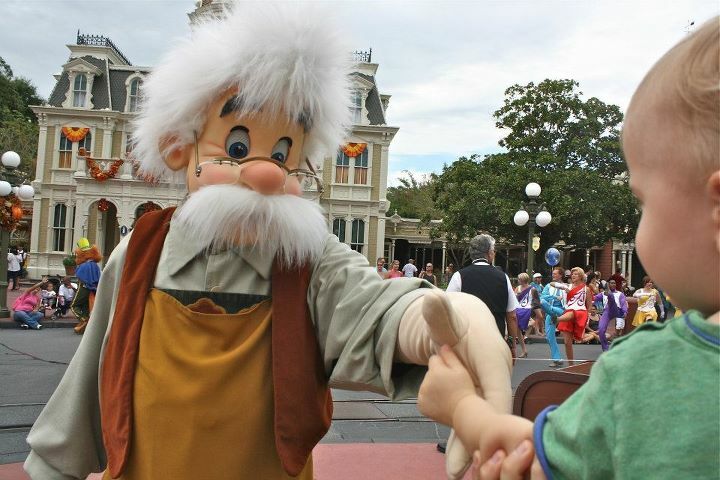 Another show he loved was the short, park-opening performance that happens daily at Magic Kingdom. Parades! Of course he loved the parades! Especially since we had a great spot at the parade that we saw in Magic Kingdom, where many of the characters came right up to us! 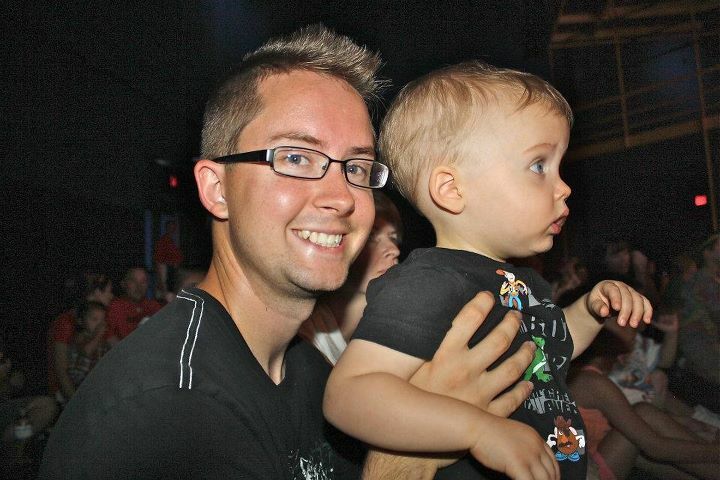 He also loved the lights of the Main Street Electrical Parade, and I would deem these must do’s with young kids. 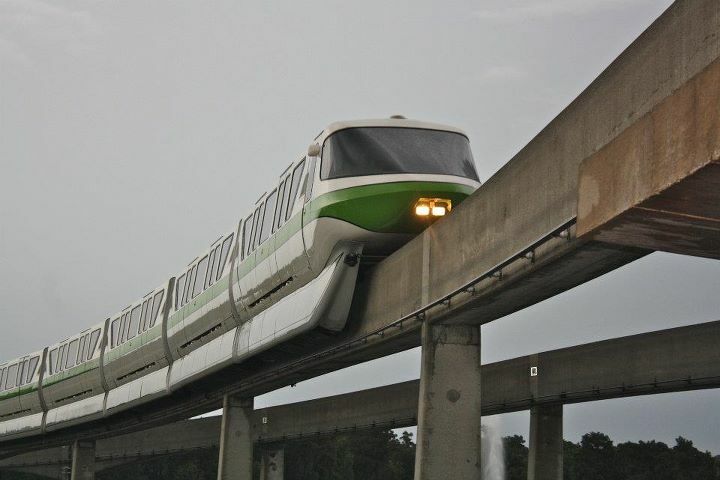 Last, but not least, the Monorail. 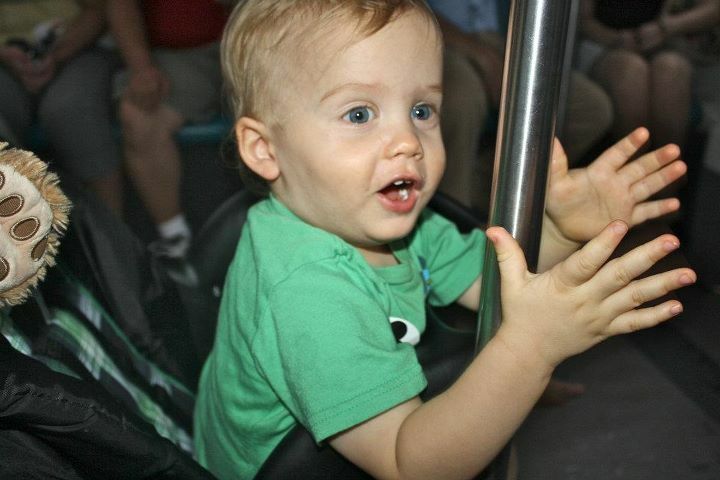 Jack loved the monorail. 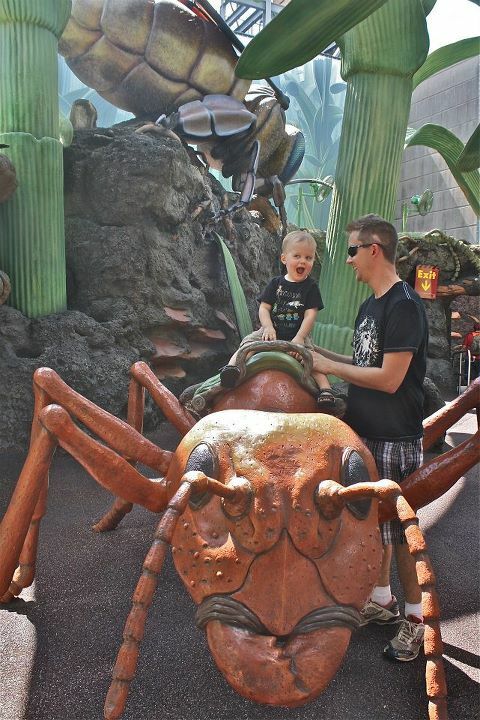 He would point and “Ooo!” every time it slid smoothly by us, and he enjoyed riding it just as much. He would turn into a ham and entertain the people in our car with games of peek-a-boo, or silly faces. 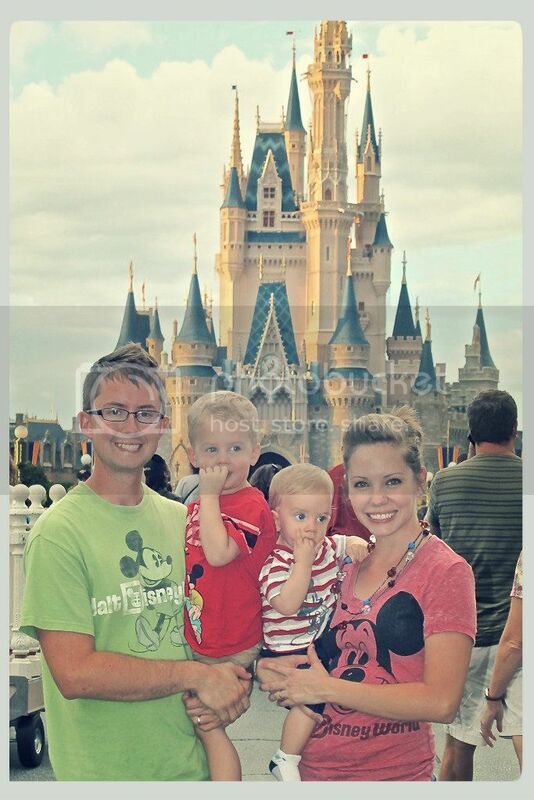 All that to be said, doing Disney with a fifteen-month-old was not only doable, it was fun! We made sure to keep at Jack’s pace. We did most of our activities in the morning and evening during his happy times, most days we went back to the resort for mid-day naps (which ended up being nice breaks for Tim and I), and didn’t stray too far from his 8:oo-ish bedtime at night. Like I said, it was much different than our sun-up-to-sun-down trips we took previously, but we really enjoyed it, and would definitely recommend it to any willing parent! I can’t wait to do it with Jack AND Cole! Haha! Stacey, you are so right! I enjoyed reading how Jack enjoyed his trip. Thank you for these wonderful stories about his growing up. This is really great for great grandparents.